Last August I got the chance to spend a week exploring Sulawesi, one of the largest and most underrated islands in Indonesia, with a few days near Makassar in the south and then Manado in the north. Sulawesi was one of the most amazing places I’ve been in my travels. The karst mountains, exotic wildlife, big waterfalls, active volcanoes, and ancient artifacts were out of this world. It was one of the highlights of my year, even though I barely scratched the surface of what this island has to offer. 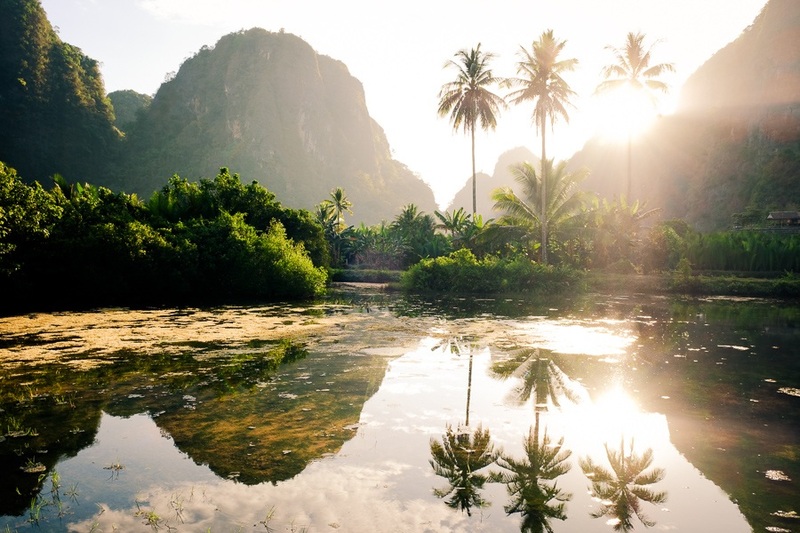 Hopefully these pictures of Sulawesi inspire your travels! Karst mountains in Leang-Leang, South Sulawesi. In rural Sulawesi, the hills have eyes! Don’t these bananas look appetizing? Kali twin waterfall can be reached with a short drive from Manado. Huge jackfruits for sale in the Tomohon market. One of the farm houses in Rammang Rammang. Imagine living here! Huge limestone mountains in Rammang Rammang. The best time to see reflections like this in Rammang Rammang is early in the morning, before a breeze starts. The classic view of Rammang Rammang. Looks like Jurassic Park, doesn’t it? A volcano in the clouds. North Sulawesi. Water flowing down the rocks at Tunan Waterfall. Tunan Waterfall in North Sulawesi. Lizard camo in Tangkoko Nature Reserve. Black sand from the nearby volcanoes. Tarsier sighting! Tangkoko Nature Reserve is one of the best places in the world to see endangered Tarsiers. You’ll need a zoom lens to get tarsier pictures like this, because they’re pretty elusive.